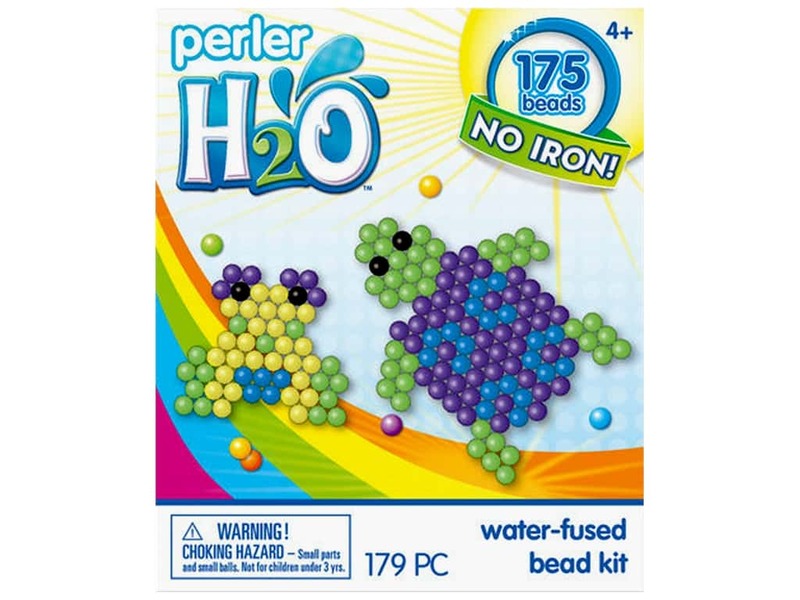 Description: Perler H2O Water Fused Beads uses water to fuse the beads together, no heat or iron required. Place the clear bead board on top of the pattern, place the beads, then spray with water. Once the beads dry, they are fused together. Kit Trial Turtle & Frog- Contains 175 round beads, clear hexagon bead board, double-sided pattern card, spray bottle, tweezers, and easy instructions. Bead colors are neon yellow, glow green, blue, purple, and black. For ages 4 and up. See more Perler H2O Fused Bead.